San Diego’s Past & DARKER SIDE! Travel back in time and hear about the spirits of the notorious characters who lived & died in San Diego. 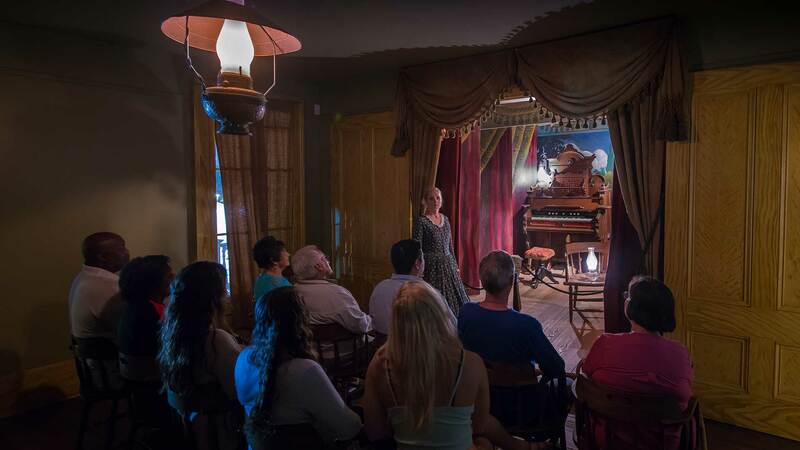 Notorious wild characters like Gunslingers, Gamblers and Ladies of the Night lived and died in San Diego and it is possible that their spirits live on in the dark recesses of our historic buildings and neighborhoods. Dying to Take a Ride on the Dark Side? Pioneer Park is perfect for picnics and for school children to play; indeed, it is a lovely place during the day. Located next to Grant School, hear stories of how the park changes to the darker side when the sun goes down and there is a different feeling in the air. 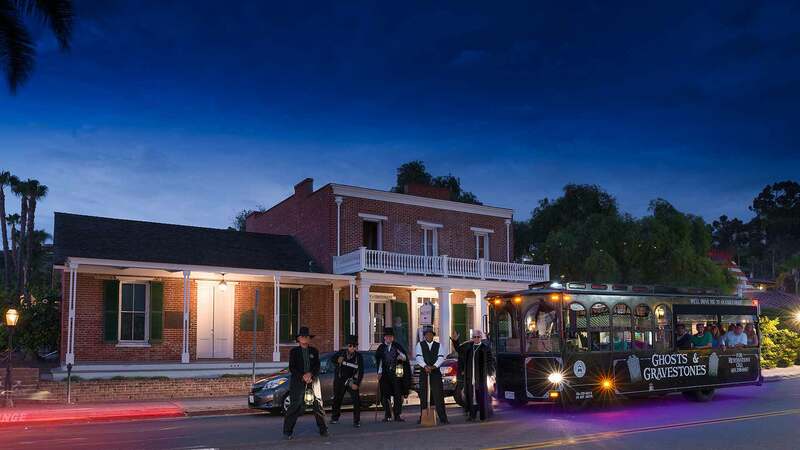 Journey through Old Town, walking through El Campo Santo Cemetery and ending at the Whaley House – both sites of many reported paranormal occurrences. According to the Travel Channel’s America’s Most Haunted, the Whaley House is the most haunted house in the United States. Although we cannot state positively that the House is really haunted, the voluminous documentation of paranormal occurrences at the site makes a compelling case. But, if there are ghosts at the Whaley House, who are they and why are they here? This tour is not appropriate for children. We run most dark & stormy nights; dress appropriately. Part of the tour is walking. Wear comfortable shoes or you will be dead on your feet. Be sure to purchase your San Diego ghost tour tickets now. Length of tour: 1 hour and 30 minutes.